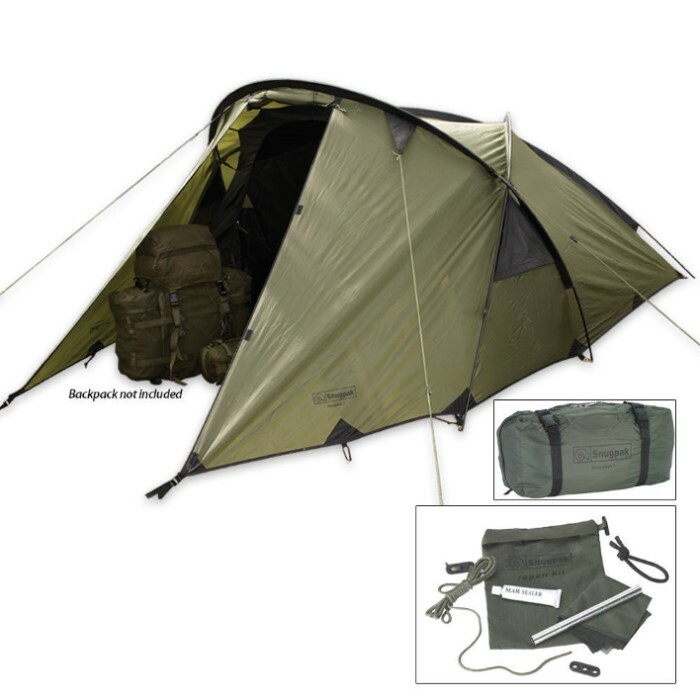 Snugpak Scorpion 3 Tent (OD Green) | BUDK.com - Knives & Swords At The Lowest Prices! Designed as a slightly larger but still sleek version of Snugpak's popular Scorpion 2, this 3-person tent features durable Flysheet Polyester RipStop construction with a 5000mm waterproof polyurethane coating that can handle large and rapidly falling amounts of rainfall. Other innovative features include three vents, taped seams, a fixed ground sheet and No-See-Um Mesh to keep the insects out. Includes a basic repair kit for on-the-go repairs.